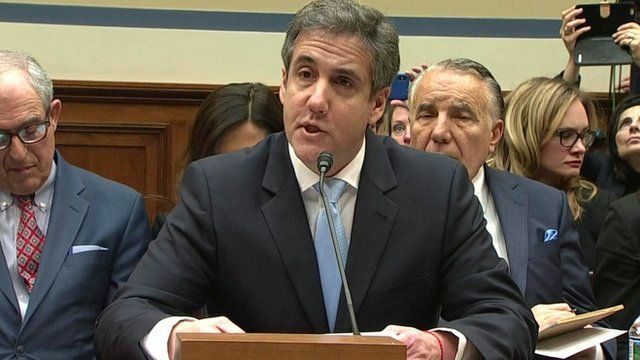 US President Donald Trump's ex-lawyer Michael Cohen is testifying before Congress. He has claimed Mr Trump knew beforehand about a leak of hacked Democratic emails. In his testimony to the House of Representatives Oversight Committee, Cohen also branded Mr Trump a "racist", a "conman" and a "cheat".